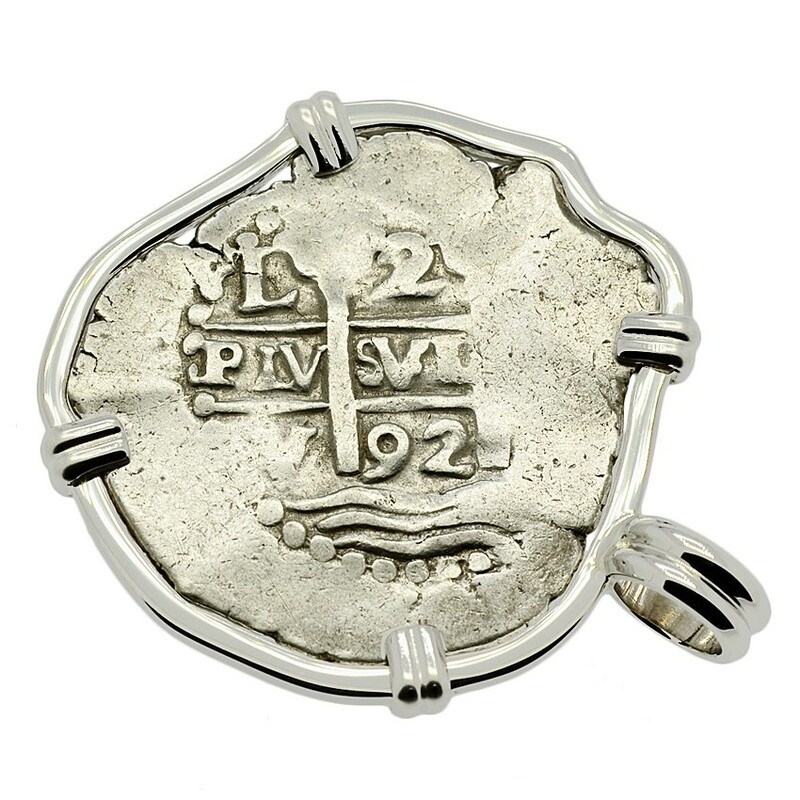 This is a genuine Spanish silver coin that was minted in the colonial South American mint of Lima, Peru. 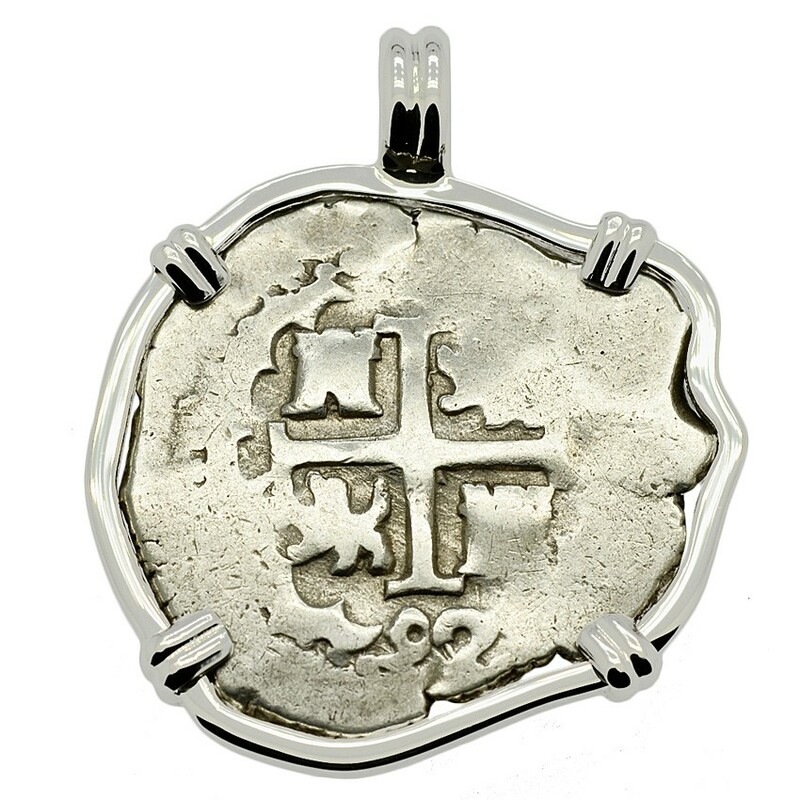 Coins minted here during the 16th to 18th centuries began the perilous journey to Spain in a South Sea galleon sailing from Lima to Panama, where they were then transported by mules overland to the Caribbean port of Portobello. 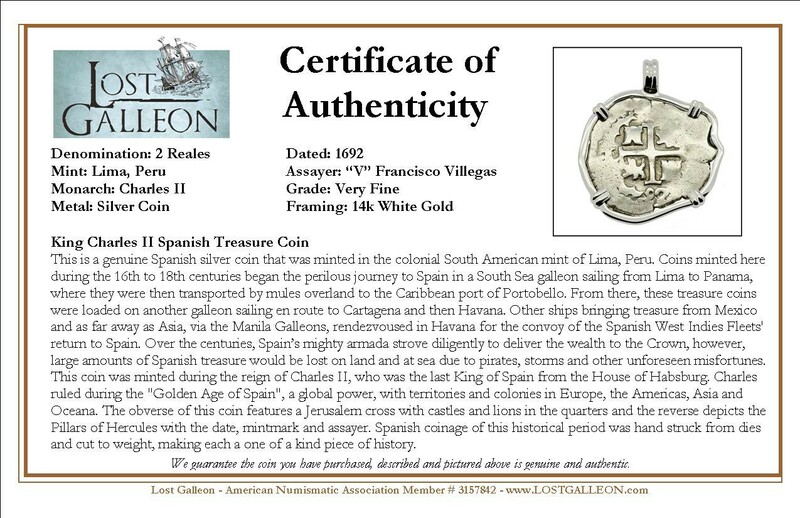 From there, these treasure coins were loaded on another galleon sailing en route to Cartagena and then Havana.